St. Mary’s Church, Cottonstones was opened in 1848. It was gifted by the Hadwin Family to the workers of Cottonstones, Mill Bank and Soyland. The church can be seen from the surrounding valley and hillsides, sitting proudly in the landscape, and has a seating capacity for approx. 80 people. In May 2013 we joined with two other churches to form the Ryburn Benefice. 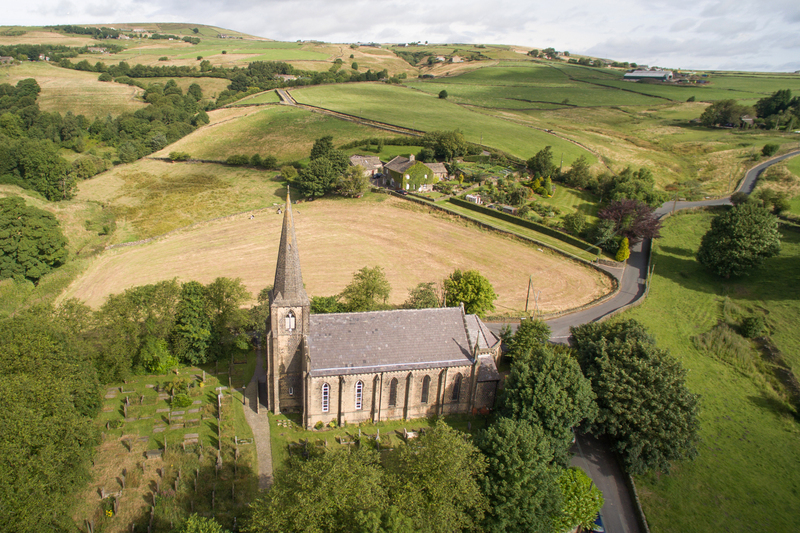 The new family of churches are St. Luke’s Norland, St. Peter’s Sowerby and St. Mary’s Cottonstones. The Benefice works together to bring Christ’s love to parishes of Norland and Sowerby with Cottonstones. We invite you to join us in our worship at 11.30am on the 1st & 3rd Sunday of the month. Morning Prayer is also held at 9.15am on Wednesdays. Check out our Events page to see what is going on at St Mary’s. We hope to see you soon!